In our newest feature, Andre picks a single play to analyze, highlight, make fun of or generally draw attention to for you guys. 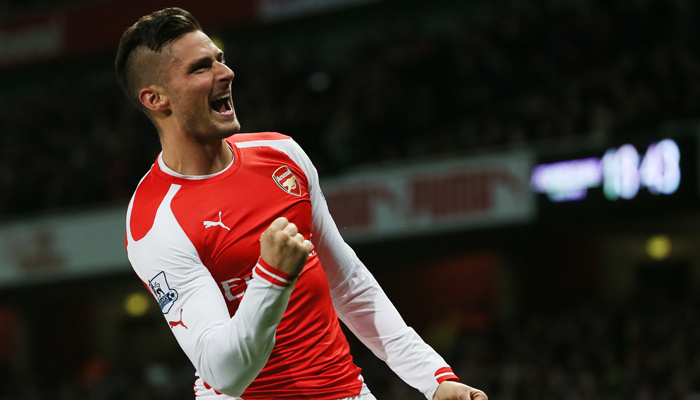 This week’s inaugural “Dre’s Play” focuses on Arsenal’s Olivier Giroud and his great second goal against Arsenal. After a long injury layoff and questions about his suitability for Arsenal, the Frenchman found a groove in the Gunners’�crucial match against Newcastle United. Already on a goal for his side, the elegant striker improvised to place a neat flick over the head of keeper Jan Alnwick with the outside of his boot to make it 3-0 and allow the Gooner support to rest easy.